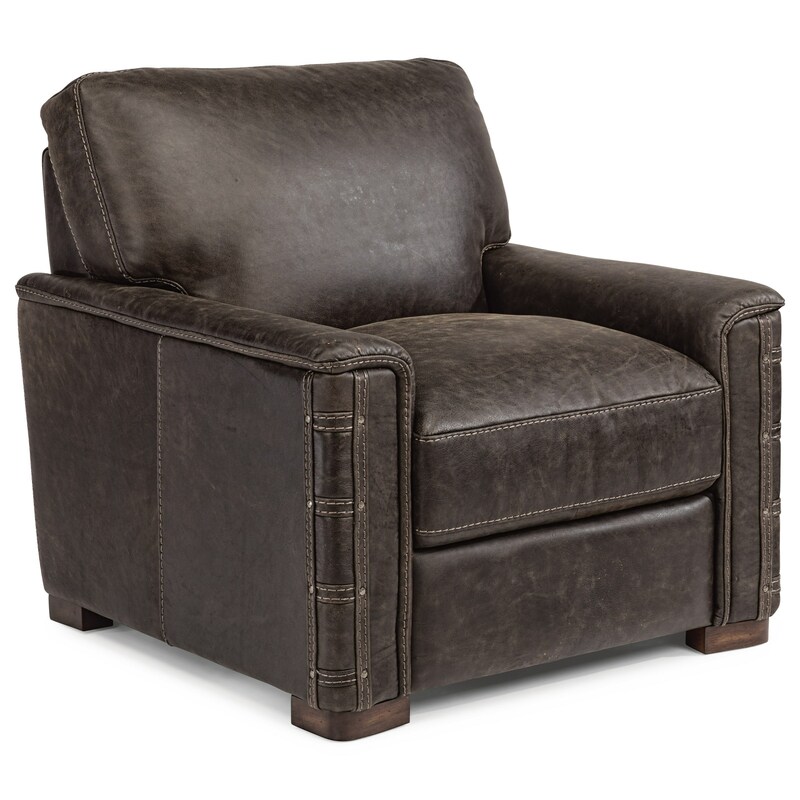 Create the rustic living room of your dreams with the addition of this leather chair. 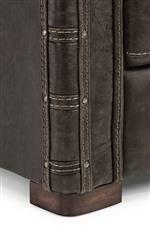 Designed to display a rugged look, this piece features exposed wood block feet covered in a beautiful distressed look as well as a 100% leather cover crafted to capture each hide's naturally occurring markings. Don't worry, this chair is as comfortable as it is stylish with luxury cushions filled with resilient foam that promises support for years of use. The rustic living room you've always wanted isn't far away with this leather chair. 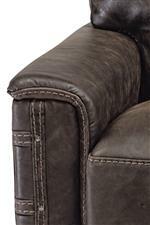 The Latitudes - Lomax Rustic Leather Chair with Nailhead Details by Flexsteel at Virginia Furniture Market in the Rocky Mount, Roanoke, Lynchburg, Christiansburg, Blacksburg, Virginia area. Product availability may vary. Contact us for the most current availability on this product. The Latitudes - Lomax collection is a great option if you are looking for Rustic furniture in the Rocky Mount, Roanoke, Lynchburg, Christiansburg, Blacksburg, Virginia area. 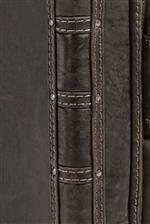 Browse other items in the Latitudes - Lomax collection from Virginia Furniture Market in the Rocky Mount, Roanoke, Lynchburg, Christiansburg, Blacksburg, Virginia area.